Biofinity XR Toric are silicone-hydrogel contact lenses produced by CooperVision to correct astigmatism. 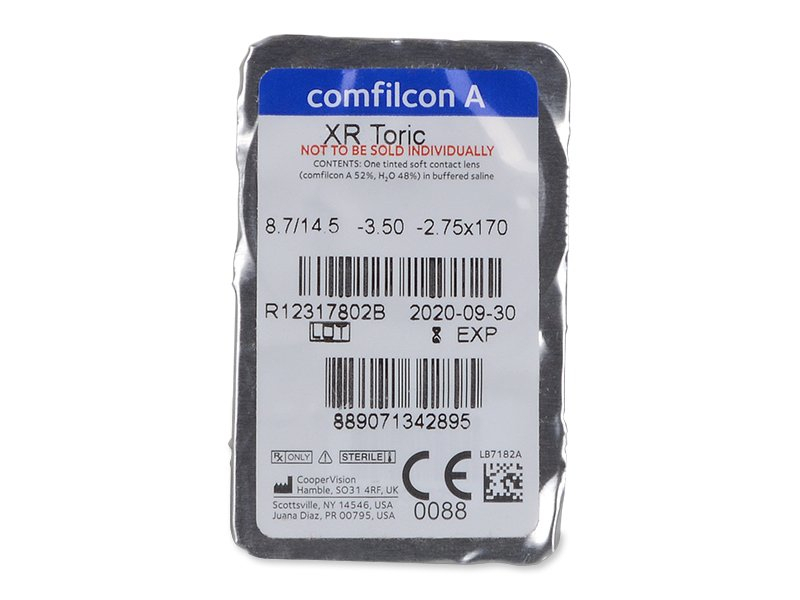 Thanks to a wide range of axis and cylinder values, these toric lenses are capable of correcting even high degrees of astigmatism. 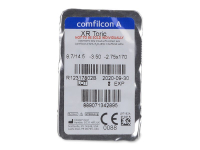 The lenses have a monthly replacement schedule, however, in consultation with your optician, there is a possibility of continuous wear. 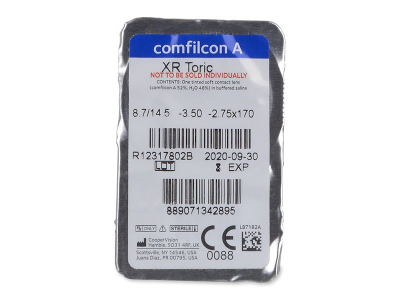 The material known as Comfilcon A, along with CooperVision’s pa­tented Aquaform technology, give the lenses a high oxygen permeability (breathability) as well as sufficient hydration and lubrication. The eyes are comfortable all day long and have a healthy and fresh appearance. The innovative lens material and design also ensures optimal flexibility, guaranteeing a perfect fit and enhanced comfort of wear. Thanks to the combination of high water content and superb breathability, Biofinity XR Toric contact lenses are approved for continuous wear for up to 30 days and 29 nights. Before beginning an extended or continuous wearing regimen, however, it’s important to consult this with your eye-care specialist. 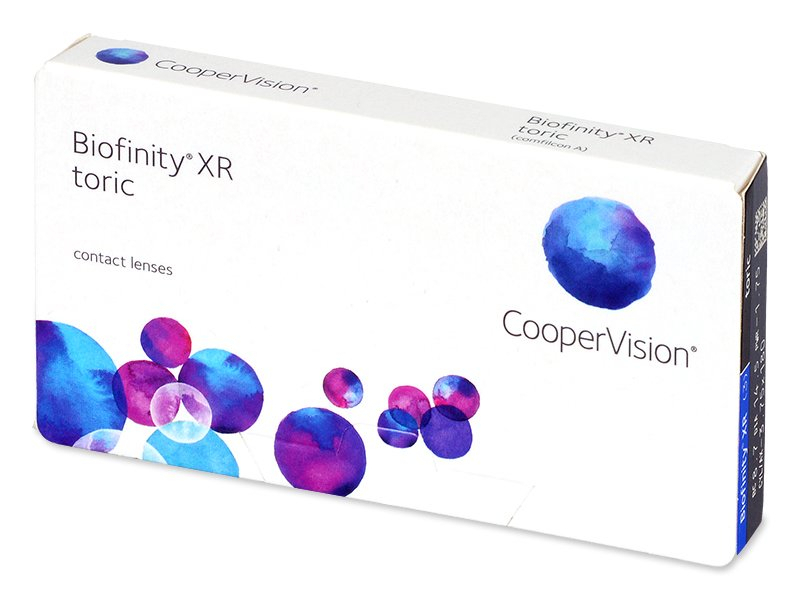 Thanks to the wide range of parameters, users with astigmatism can always find the right combination for their unique prescription. There’s no need to compromise by ordering parameters that are most similar to your actual measurements with cylindrical values ranging to –5.75 and axis values from 5 ° to 180 ° available. Totally satisfied with these lenses. Being able to select the cylinder and axis means that I can get the lenses that fit me perfectly. Bought these from here as I got a free delivery code. First time I've used extended wear lenses that i can leave in for this long which is convenient. Every now and then I put in eye drops to make sure they are super moist but i've been pretty happy with them so far. Is there any possibility to change the base curve on these? 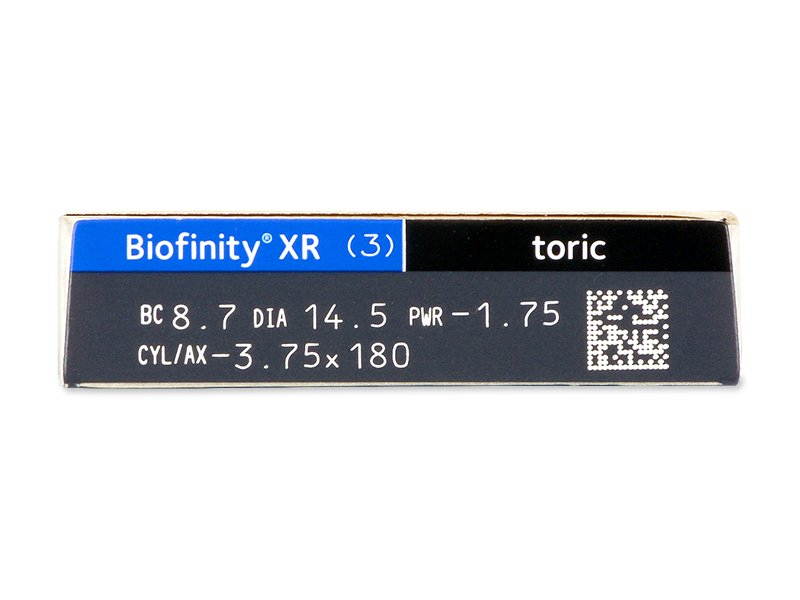 Hi, currently, it is not possible to alter the base curve of these lenses. 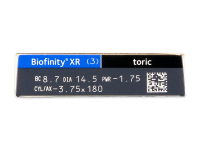 The base curve of 8.7 comes as a standard with the Biofinity XR Toric.